Engineers digging the Crossrail tunnels have uncovered a plague pit believed to date from the Black Death in the 14th century. Here’s the BBC’s video of the site. Over the past two weeks 13 skeletons have been discovered at a shaft in Charterhouse Square, just outside the boundaries of the City of London, with more being unearthed every day. Experts believe they date from the Black Death, which killed tens of millions during the medieval period, wiping out up to 60% of the continent’s population. 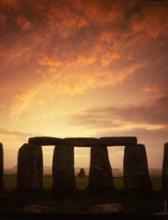 A burial site was understood to be in the Farringdon area, but until now its precise location was uncertain. The Smithfield area is proving a fecund ground for archaeologists: in 2011 researchers were able to reconstruct the plague’s genetic code, using skeletons discovered in the 1980s. This is the second major archaeological discovery in London of recent weeks, after the remains of a Roman settlement were uncovered in February. 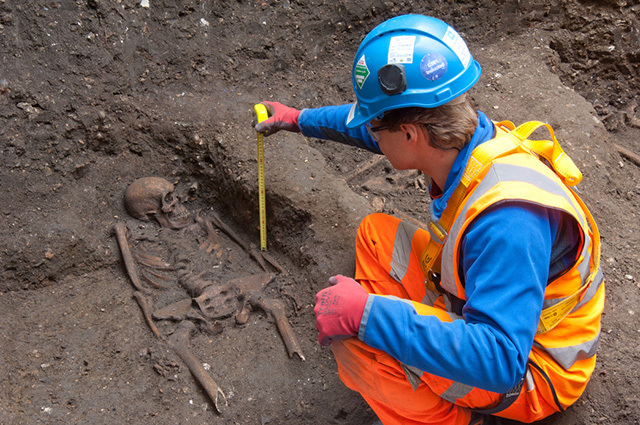 A pit of ‘lunatic’ skeletons was also discovered by Crossrail workers in 2011.